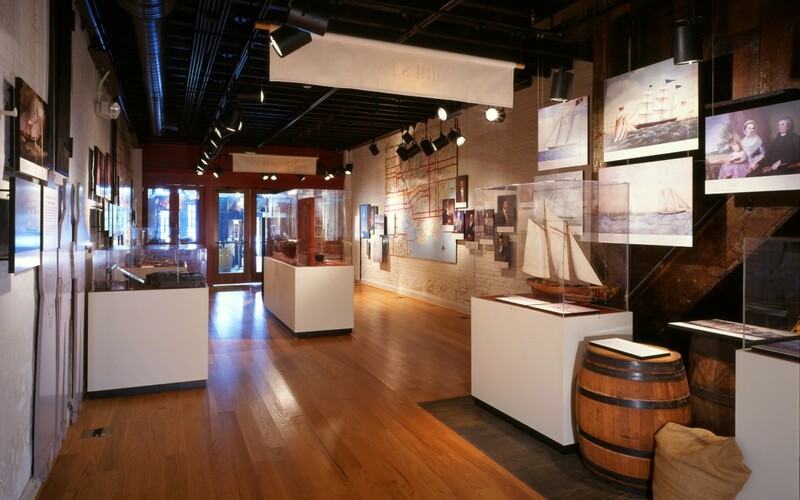 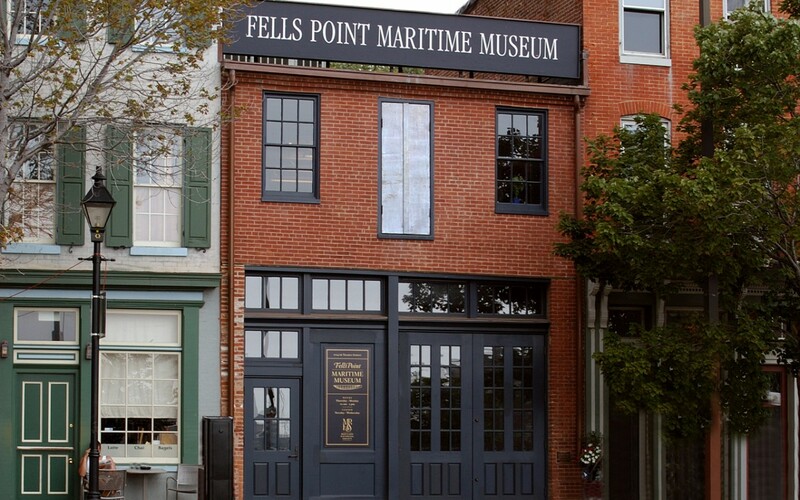 The Fells Point Maritime Museum is a two-story brick building which was originally used as an 1860s horse-drawn trolley barn and later as a rope warehouse, ship’s chandlery, junk shop, and finally as a coffee bar and movie theater. 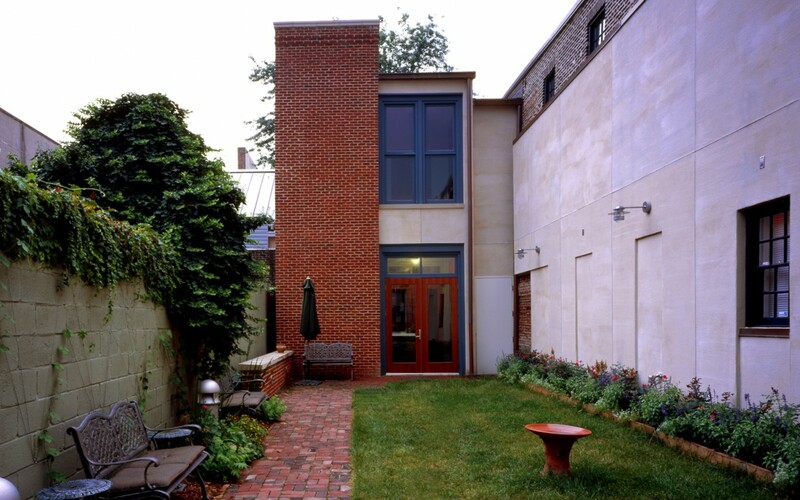 The property also included a vacant lot that abutted the rear of the Preservation Society’s Fells Point Visitor’s Center. 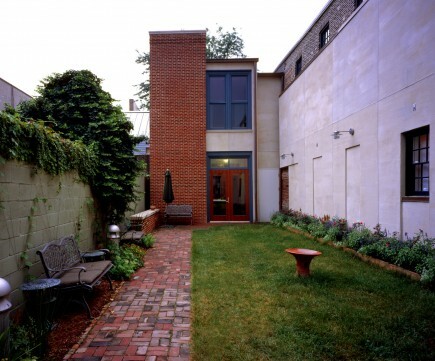 The combination of these properties provided the opportunity to unify the buildings into a unique T-shaped campus. 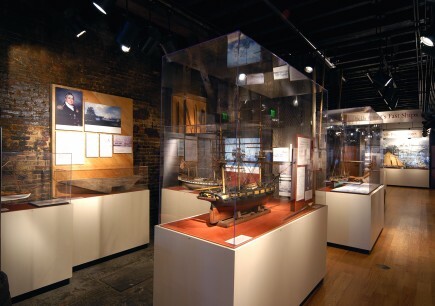 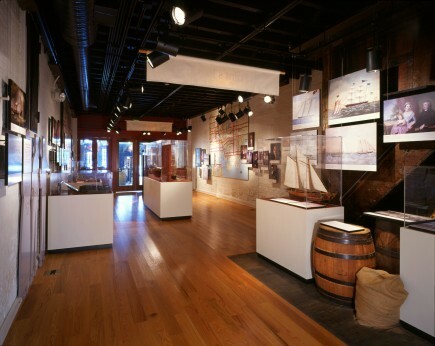 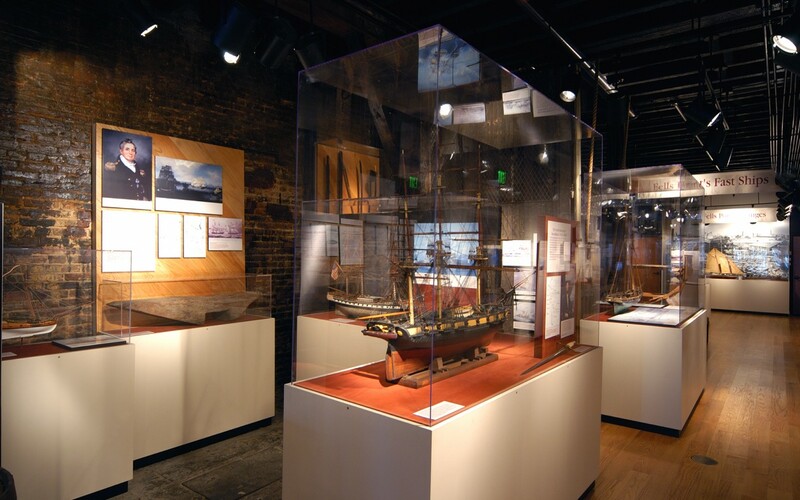 The program called for the restoration of the building to its original configuration, with the restored entrance and the first floor front being devoted to a new museum for the Maryland Historical Society’s maritime collection. 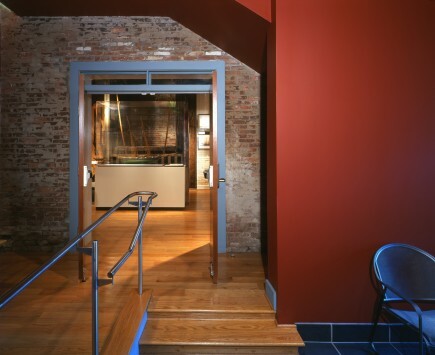 The upper floor of the building was renovated as commercial office space to provide income for the Preservation Society. 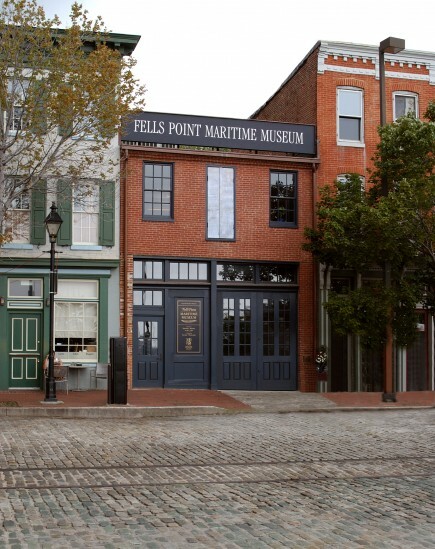 Finally, a small two-story addition was constructed as a connector to the Fells Point Visitor Center. 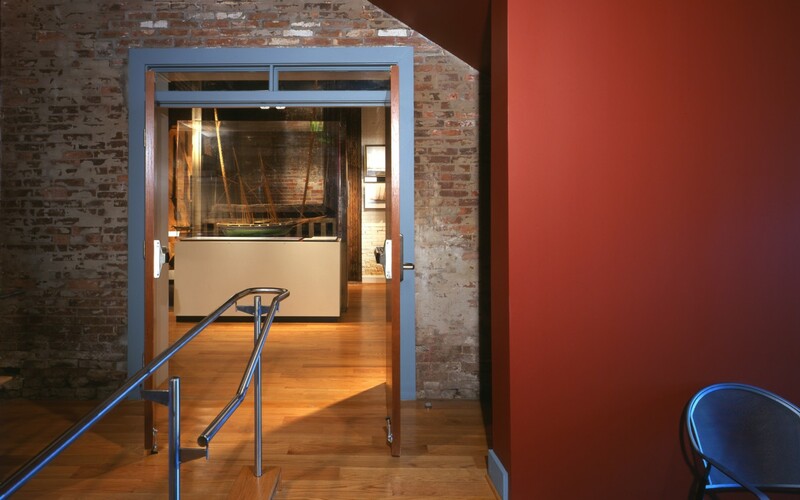 The new addition contains an elevator for handicapped accessibility, additional restrooms for the museum, new central mechanical systems, and a lobby connecting the Visitor Center and Museum to a small private courtyard.